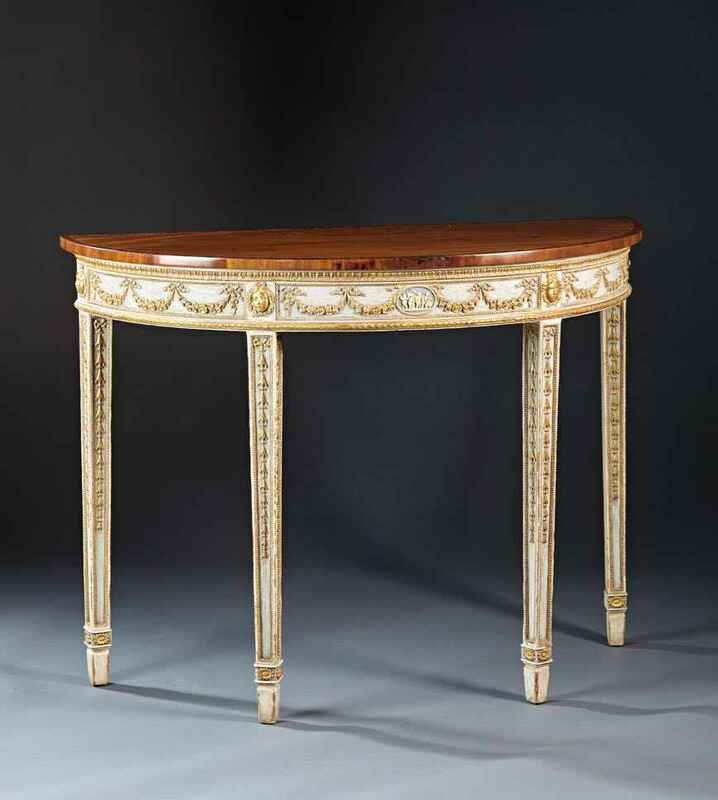 A George III, Adam period demilune console table with mahogany top and tapered legs. The paint and gilt facade having applied composition masks, garlands and bellflowers. The central oval panel depicts "Psyche & Cupid" in the typical manner of wedgewood. English, circa 1770.